Giant Foo Dog of the Forbidden City Sculptures. 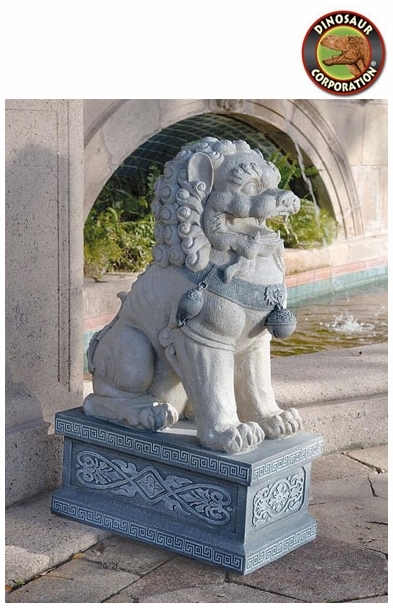 This traditional Asian symbol will protect the entry to your home. 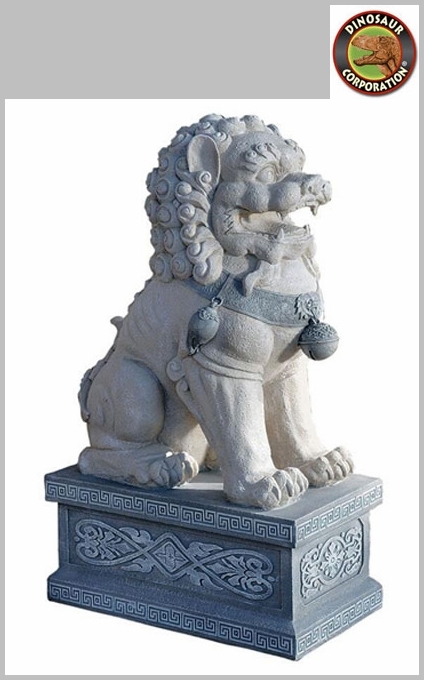 Like the ancient guardians who've watched over religious sites for centuries, our substantially sized Foo Dog Garden Statue shows a fierce expression and traditional power orb while set atop an ornamental plinth. * Each Statue Size: 10" W x 18" D x 30" H.
* Each Statue Weight: 22 lbs. * Base Size: 12�" W x 21" D.